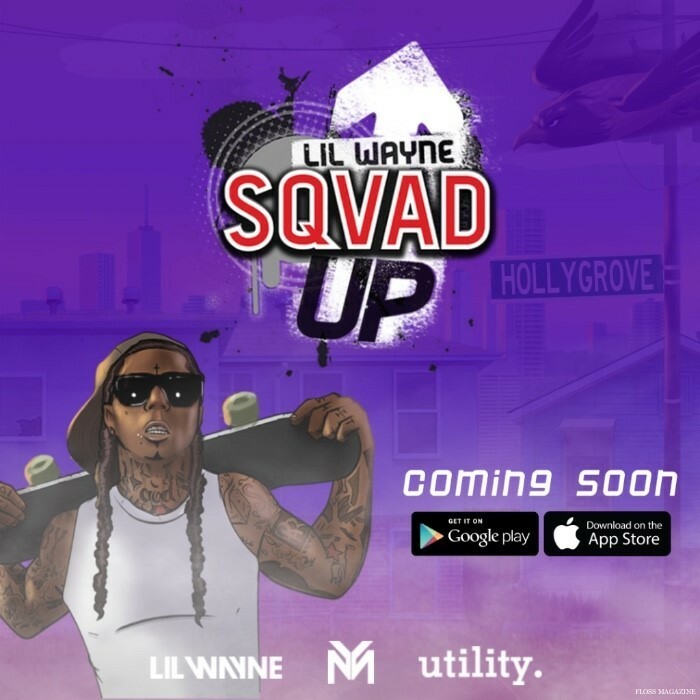 Four time GRAMMY award-winner, LIL WAYNE, announced today the release of his “Lil Wayne: Sqvad Up,” a mobile skateboarding game app that will be available for download starting on June 10th. Lil Wayne: Sqvad Up, developed by mobile media and technology company, UTILITY, is a new, action packed game that celebrates the star’s love for the thrill of skateboarding. Designed to be simple, fun and addictive for all audiences, the throwback arcade-style game offers users a chance to join Lil Wayne on an authentic tour of his hometown, New Orleans. The game soundtrack was curated by Lil Wayne himself and produced by Hollygrove-based producer Nesby Phips. Personally selected by Lil Wayne, Sqvad is the official skating team of Young Money and made up of Tyreek Morrison (TJ), Evan Hernandez, Yosef Rattif (Yoyo), Andrew Colbert, Jerme Knibbs and Edgard Benitez. Lil Wayne has pledged to help nurture each member and make them stars on and off the board.